Under water, HSD-Nets exhibit high buoyancy forces caused by the air filled HSD-Elements. To compensate these buoyancy forces and to unfold the HSD-Net around the monopile, a net basket of steel is used. 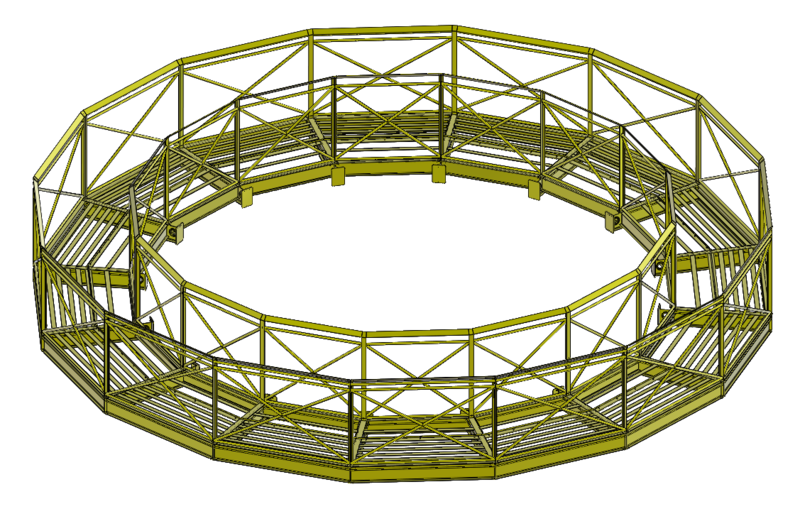 All steel work like the net basket is not part of the scope of supply and is usually manufactured by the supplier. 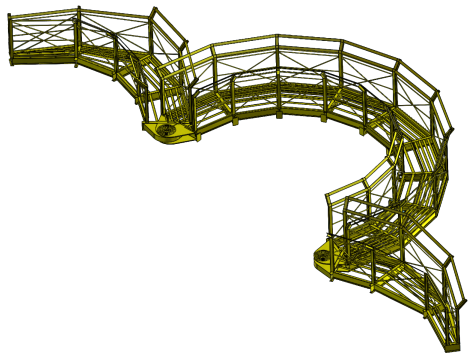 OffNoise-HSD-Systems supports the development of the net basket and additional equipment. Below a closed and an openable standard net basket are shown.